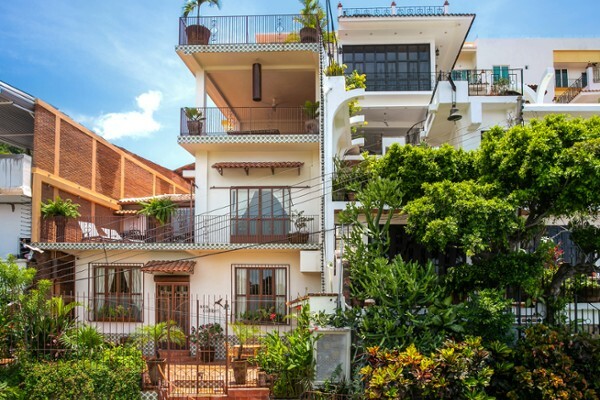 The south side of downtown Puerto Vallarta is a vibrant region that offers primarily low- to mid- priced condominiums for those interested in living right downtown and close to the beach. Also commonly known as Romantic Zone, or Zona Romántica, Downtown or Centro South, Olas Altas or Emiliano Zapata, it actually is a little bit of all these names and more. This is an eclectic, funky and fun area of Vallarta. Recent development has seen a surge in boutique condo projects situated a few blocks from the beach but with sophisticated roof-top bars, swimming pool and lounge areas to provide views of the bay. Emiliano Zapata is flanked on its northern edge by the Isla Río Cuale, the ocean (Los Muertos Beach) on the west, the Conchas Chinas and Amapas neighborhoods on the south, and the El Caloso neighborhood on the east. Popular neighborhoods within Emiliano Zapata include Olas Altas Street, home to many shops, restaurants and coffee shops with outdoor seating on the sidewalks, making them popular destinations to browse the internet, watch people walk by, and enjoy a nice latte, all at the same time. In fact, Olas Altas’ bustling outdoor cafe scene is the only place in town where you can purchase fine jewelry, find a hot date, sing and dance your heart out, and ride a real donkey, all on the same block. Isla Rio Cuale, located between Emiliano Zapata and El Centro, is a destination of its own, one of Puerto Vallarta's verdant oasis. It stretches several blocks inland from the ocean, is accessible by foot at several access points along the way (including some suspension bridges worth tackling) and features a few restaurants, an outdoor artisan market featuring Mexican artifacts, and is also home to Puerto Vallarta's Cultural Center on its easternmost area. The Malecon continues over into the east side of downtown Vallarta via a pedestrian bridge over the Cuale River. As you pass over you have access down onto the Rio Cuale island, mentioned earlier. The promenade continues, providing access now to beachside bars andrestaurants and plenty of local artisan shops. But it slowly winds down, becoming narrowing, until it reaches the end of Los Muertos Beach and the beginning of Amapas. Along the way you'll pass the new modern city pier that provides great views and picture taking opportunities. The eastside of Vallarta, Emiliano Zapata, has become a haven for music venues and theater shows. There are a number of small theaters and cabarets, that has become even more rich with its lively, gay-friendly environment. A night out on the town involving a show and dinner afterwards, has become very popular, and most of Vallarta's top and newest restaurants seem to be popping up here. The beach at Emiliano Zapata, Los Muertos, is Puerto Vallarta's most popular beach. Many restaurants are located right next to it, providing visitors with all the services and amenities they might need while enjoying the view and the sun from shady palapas or beach umbrellas, provided by the restaurants. You will be expected to consume from the eateries in order to enjoy them. That said, most restaurants won't frown if you purchase, in addition, a snack or other goods from one of several authorized beach vendors in the area, wearing white uniforms. Dividing Los Muertos Beach in half, is the new stylish Los Muertos pier, one of Puerto Vallarta's newest and most beautiful landmarks, which provides easy access to water taxis and day cruises that depart from the beach. The southernmost stretch of Los Muertos beach is particularly popular with the gay community with several restaurants catering to them. 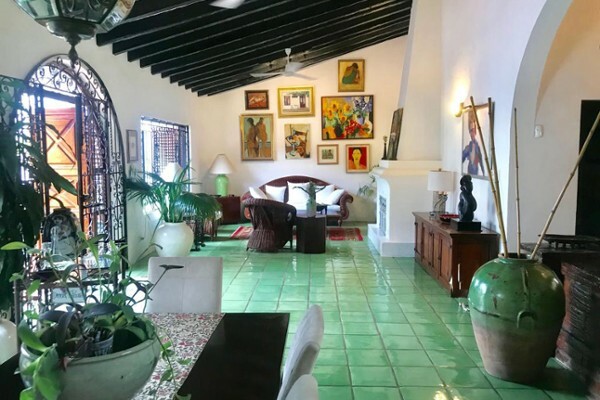 The south side of downtown Puerto Vallarta is a vibrant region that offers a number of different real estate listings for sale for those interested in living right downtown and close to the beach. This is an eclectic, funky and fun area of Vallarta. The beach of Los Muertos is very popular and is lined with hotels and some condominiums. Olas Altas is a busy street, lined with cafes and restaurants and shops and just a block away from the beach. Along this street and behind you'll find apartments for sale, small-to-medium size condominium projects (oceanfront and ocean view) and single family homes (very few with views). 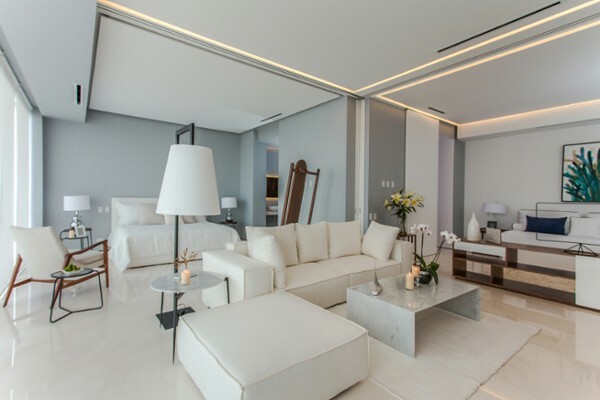 Most recently numerous boutique condominium projects have been developed here that offer reasonable pricing with excellent access to all of the Romantic Zone area and downtown Vallarta. Most have amazing rooftop bars, terraces and restaurants as private amenities for the owners, looking out over the city and bay. If you want to be close to where "the action is", this is the place! 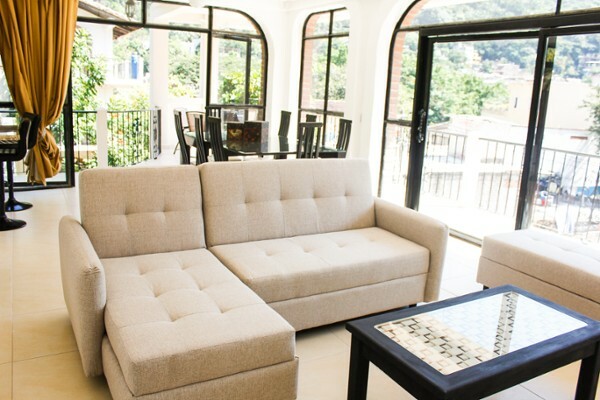 Below are listed some of the Romantic Zone Real Estate properties currently listed for sale.